We are growing our business to better serve yours! We are pleased to welcome our newest team members. 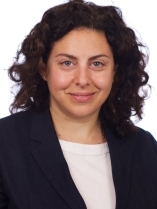 Rachel D. Jaffe’s practice largely consists of affordable housing and community development, not-for-profit law, and Housing Development Fund Corporations (HDFCs). Prior to joining Goldstein Hall, Rachel was a Senior Vice President and Counsel for a New York title insurance underwriter for five years. Prior to practicing in the private for-profit world, Rachel maintained a transactional legal practice as the Community Economic Development Attorney at Housing Conservation Coordinators (HCC) for six years. Her HCC legal practice included co-op share transfers, including HDFC limited equity co-op transfers, co-op corporate governance matters, contract negotiations, tenant relocation agreements, matters related to eminent domain, basic wills, elder law and rent-regulated tenancy issues. Please visit her bio for more information. 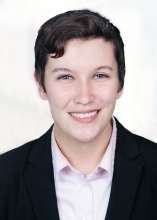 Alyssa Huminski concentrates her practice in real estate development, affordable housing, and zoning and land use law. 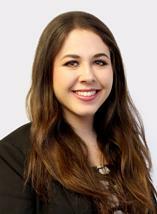 Prior to joining Goldstein Hall, Alyssa worked on land use and zoning matters as an associate at a national law firm. She received her law degree, along with a Certificate in Real Estate Law, from Brooklyn Law School, where she was a Sparer Public Interest Law Fellow and the recipient of the Max M. Lome Memorial Prize for Excellence in Urban Law. Alyssa also holds a Masters in City and Regional Planning from Pratt Institute. Lucia Becker is the Transactional Paralegal at Goldstein Hall. She is responsible for supporting our Firm’s transactional department on a variety of transactional and internal matters. Prior to joining Goldstein Hall, Lucy was a member of the Legal Intake Committee at the New York Civil Liberties Union where she processed requests for legal assistance from constituents and incarcerated individuals. She also volunteered at the New York Legal Assistance Group, in the Storm Response and LGBT Law Units, where she conducted intakes, interacted with clients, and provided general administrative support to the free civil legal services organization.